Attention cet article à plus de 4 ans ! Les informations peuvent ne plus être d'actualité et les liens peuvent être cassé. Spark is composed of many sub projects (such as spark-sql or spark-streaming) and I only worked on its core project. Fortunately, the documentation of Spark is really complete and clear! 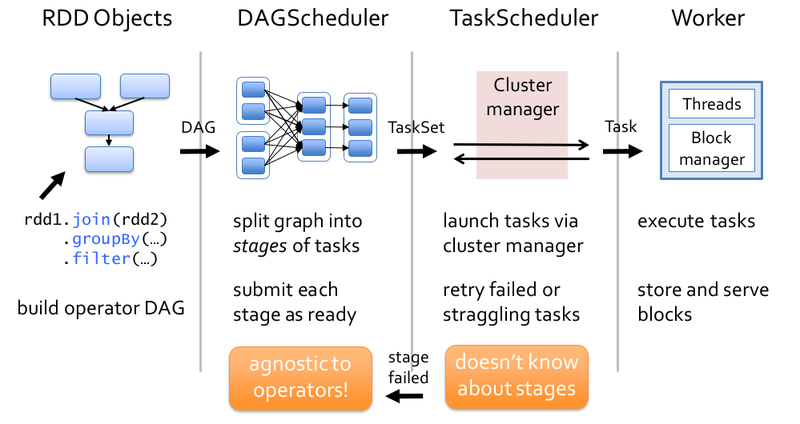 I discovered how Spark does the job scheduling with the DAGScheduler component. If you worked with Spark you should already know the SparkUI interface to monitor your applications. All the information you see in that monitoring interface is retrieved and processed by the DAGScheduler. The DAGScheduler converts actions that should be done on a data set to tasks that can be serialized to executors. In order to work, the DAGScheduler works with events (like StageCompleted). There are many callbacks fired in the core of Spark. As an example, when an executor sends the results, the DAGScheduler deserializes the answer and fires an event. 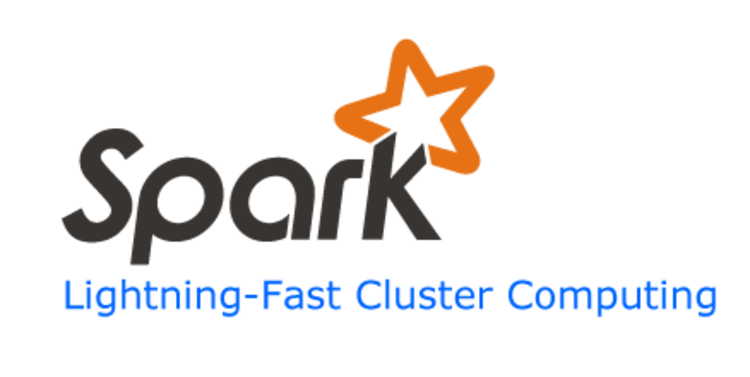 SparkListener is a trait available in the JAVA and Scala API of spark-core (subpackage scheduler). This trait is used to define callbacks on Spark events. The really cool thing is that Spark lets you define your own callbacks, yes! you can register your own Listener by extending SparkListener and adding a new listener to your Spark context. Let's try it! Okay, we have a new Listener, let's tell Spark! // do your usual Spark application! It's that easy! Be careful, SparkListener is part of developer API and can be removed or changed at any updates. It comes without any warranties of success. I didn't have enough time to create something else than a metrics data visualization but I'm sure there are many things that can be done with that function. It's up to you to use it, even to just have a better view of the comportments of your application! Thank you for reading, Have fun with Spark! Publié le samedi 19 septembre 2015 14:24 dans Code (divers). Apache Spark. Article relu et corrigé par Mohamed Said Bouksiaa, merci :). Ce(tte) œuvre est mise à disposition selon les termes de la licence by-nc-sa.